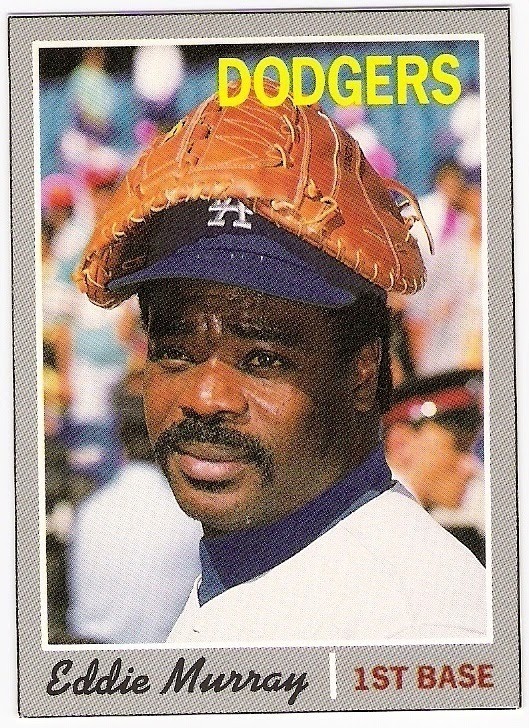 why not try "crazy baseball mitt on your head" guy? 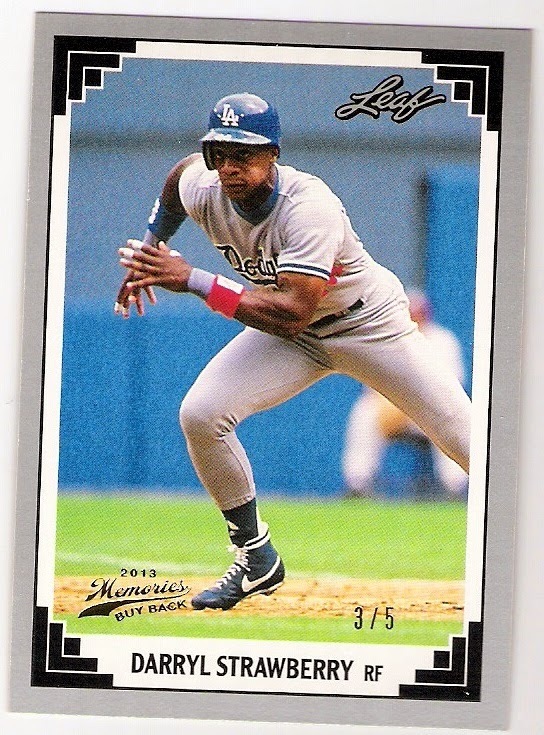 it worked for eddie murray on this 1992 baseball card magazine card. a costume like that should net you at least a box of raisins. 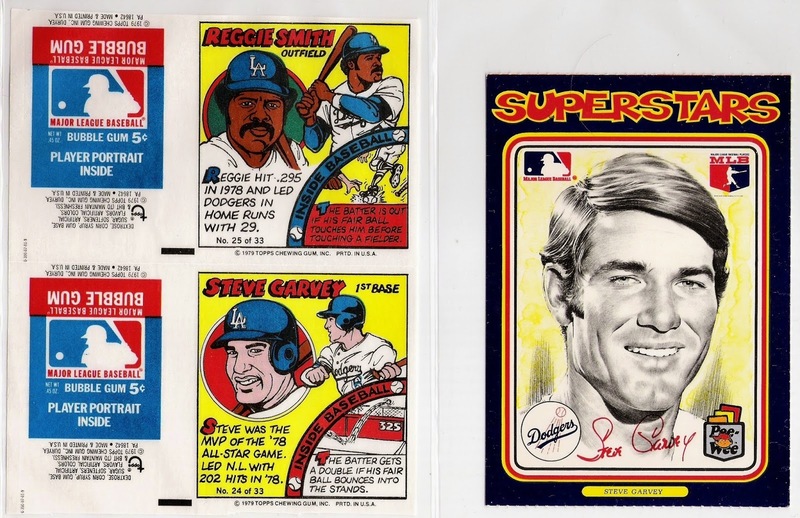 it's taking me longer than i first expected to get through my steve garvey oddball binder. 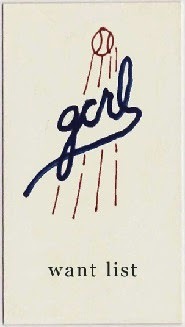 i've got most of it scanned so now it's just a matter of getting things into posts. this particular post has a few interesting items that don't fit into standard 9-pocket sheets. that's why they are in the oddball binder. i thought at one time about trimming this panel, but then i would be left with a lee mazzilli card. and i wouldn't want that. so, i've kept the panel intact. 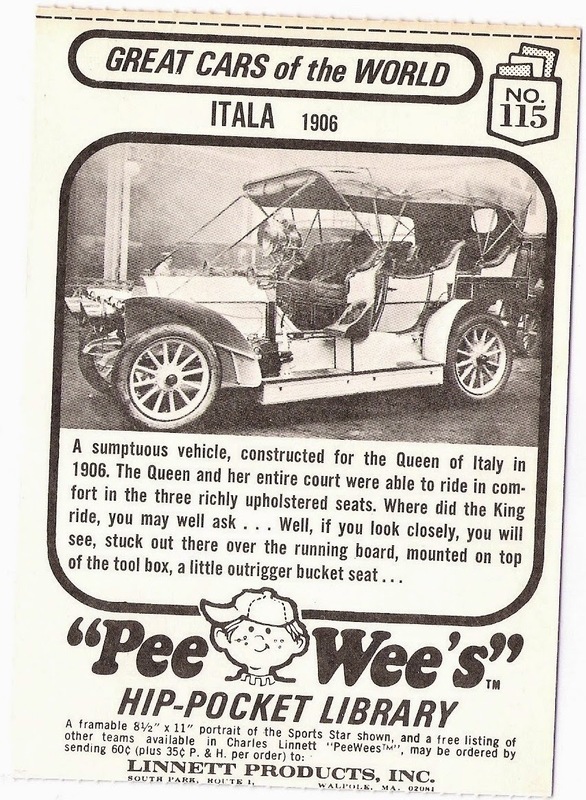 the back of the linnett card featured an itala vehicle. i do have a complete team set of the linnett 'cards' that is uncut, but found a single garvey online a few years ago. 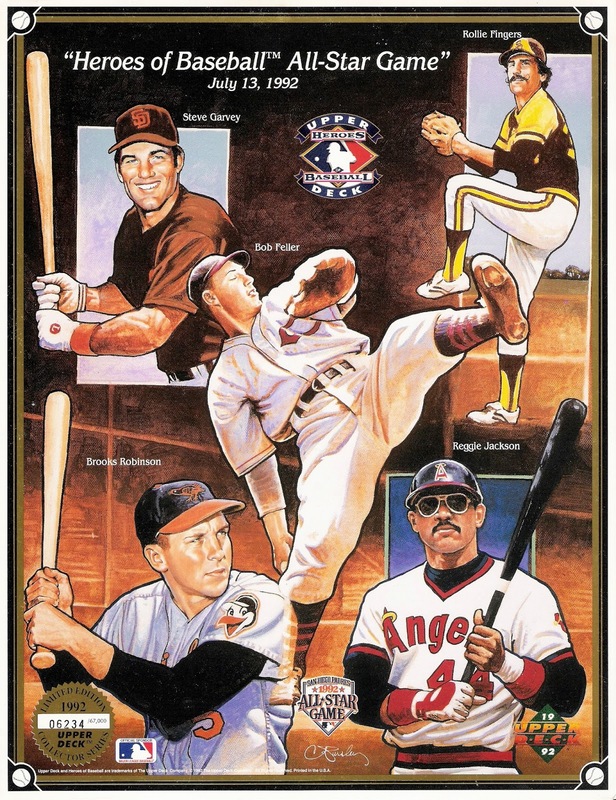 johnny bench was on the cover of this booklet that had something to do with the 1985 midsummer classic. 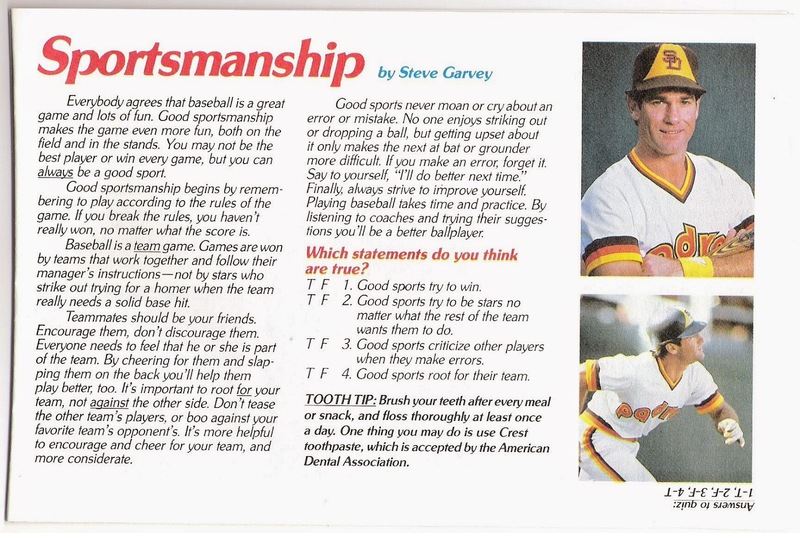 garvey was featured on this page that is all about being a good sport, although there's nothing here about not sticking your hip out during the world series to deflect a ball and get away with interference. yes, reggie jackson, i am talking to you. garvey represents the dodgers on the sheet - the dodgers that had a 2 games to none lead in the series, and were still up 2 games to 1 with a 3-1 lead in game 4 when reggie interfered with what would have been an inning ending double play relay. the umps missed the call, the yankees tied the series, and the rest is history. apparently, there was an old-timer's all-star game a couple days before the actual all-star game in san diego, and this sheet was distributed to fans in attendance. marcus sent a couple more sheets that i'll show a different time since they aren't in the garvey binder. 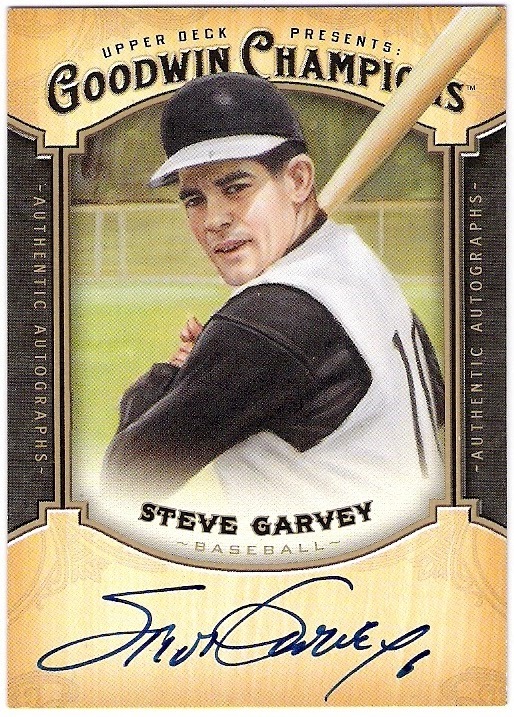 more specifically, hail to this 2014 upper deck goodwin champions steve garvey autographed card that i recently picked up for the garvey collection. wait. what did you think i was referring to? bill russell's career ended in 1986, but continues today. sort of. just as i did for steve garvey a few days ago, here is a look at who has carried bill russell's torch forward to today, through final plate or pitching appearances. in his final game, russell was called upon to pinch-hit for dennis powell in the 8th inning of a game that the dodgers were losing 3-2. padres' reliever goose gossage struck russell out, unfortunately. gossage was pitching for the mariners when he earned a 3-inning save on august 8, 1994. pitching against the rangers, gossage set down all 9 players who faced him, including jose canseco who flied out to left to end the game and the goose's career. 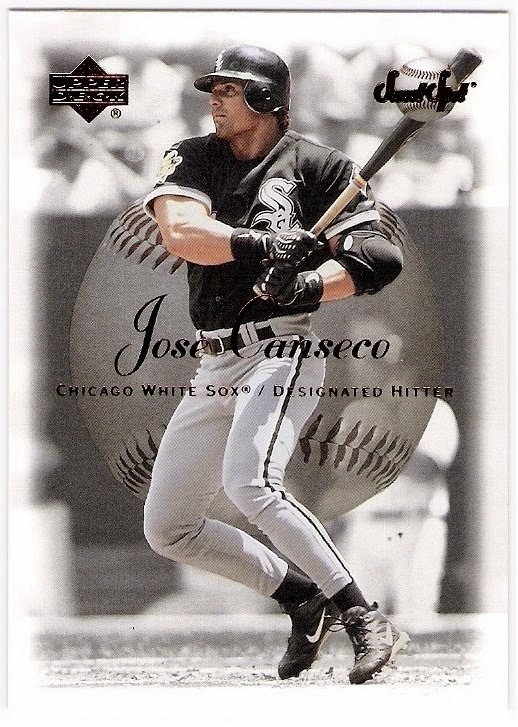 he flew out in the 9th inning of the white sox game against the twins' eddie guardado on october 6, 2001 in what would be his final appearance as a major leaguer. he later went on to write a couple of books. 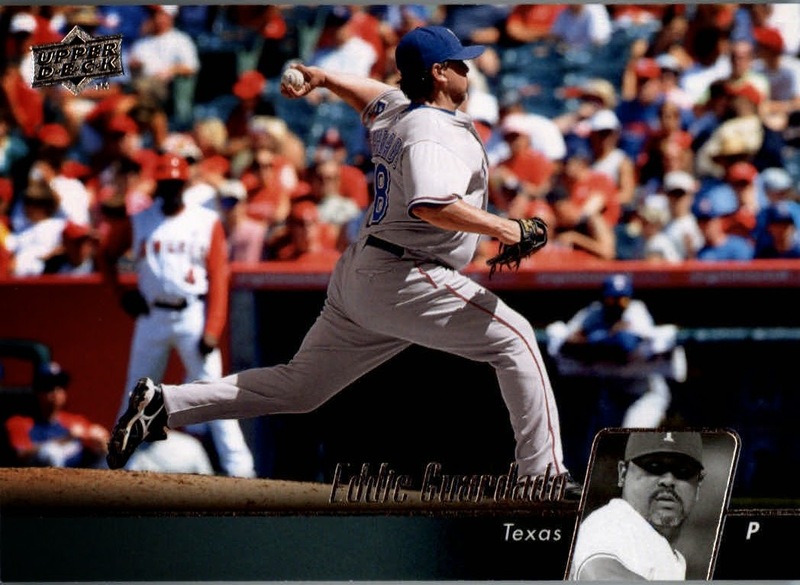 eddie guardado pitched in his last game as a member of the texas rangers in 2009. here's his 2010 upper deck card with angel coach alfredo griffin hanging out in the background. the last batter guardado faced was the angels' robb quinlan, but it was on a wednesday night (september 30, 2009 to be exact), so the card doesn't feature a photo from that game. quinlan hit into a 5-4-3 double play to end the 8th inning, as well as guardado's career. 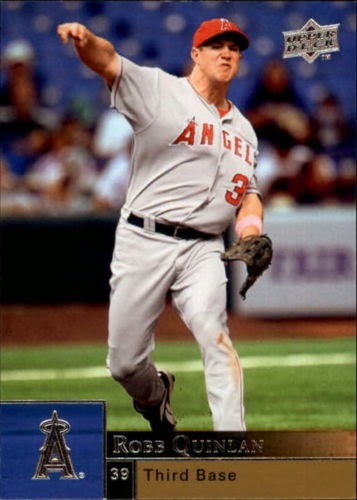 quinlan was announced as a pinch-hitter on june 25, 2010 against the rockies, but he did not make it to the plate as rockies' manager jim tracy switched pitchers and erick aybar replaced quinlan for mike scioscia's angels. furthermore, quinlan appeared in a couple of games against the dodgers just prior to that, but was only used as a defensive replacement. 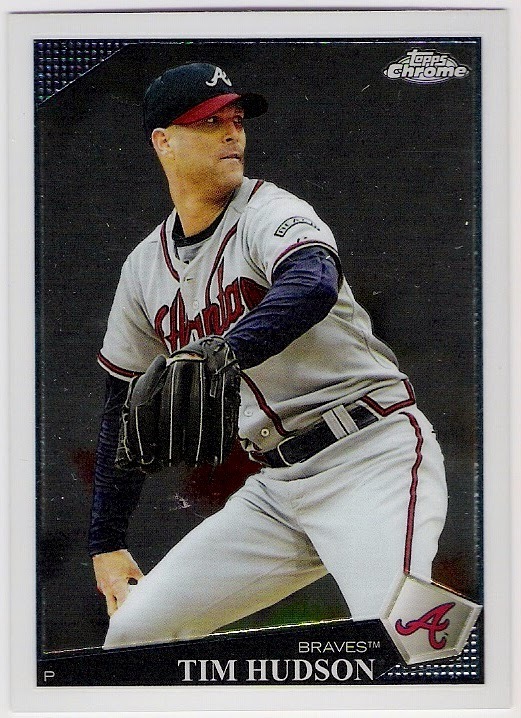 so, quinlan's final plate appearance came on june 20, 2010 against the cubs. the last pitcher he faced was andrew cashner, who got quinlan to ground out. 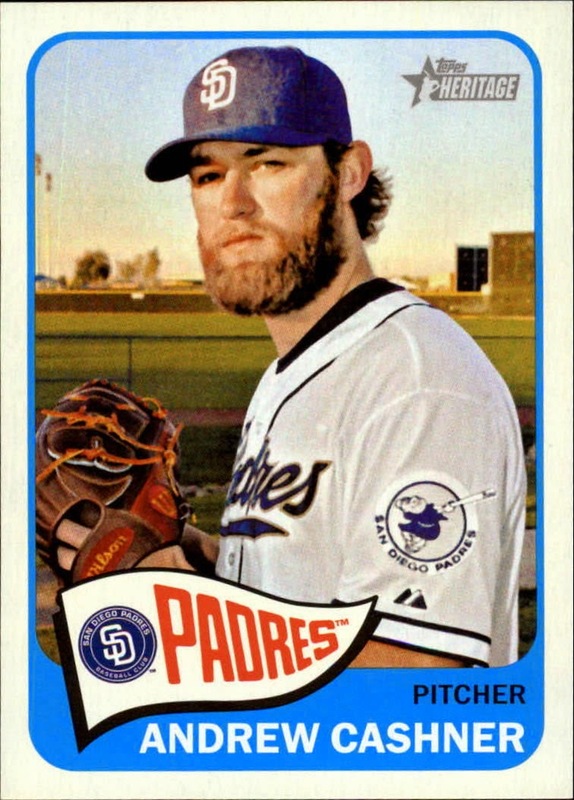 is currently pitching for the padres, and is hopefully the proud torchbearer of bill russell's (and goose gossage's and even jose canseco's) career! 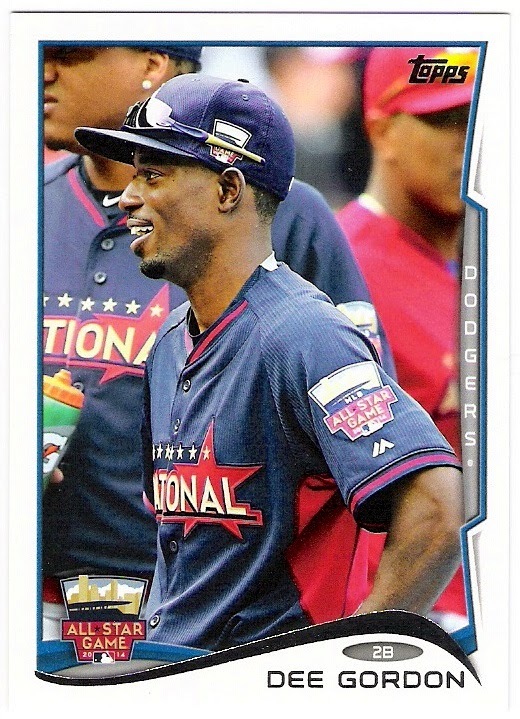 in 2011, it was dee gordon. in 2012, adam kennedy. 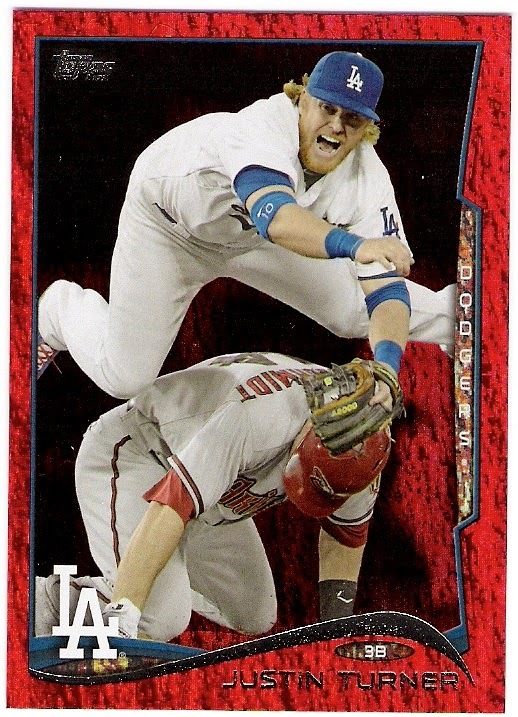 last year, nick punto's topps update card was my favorite. 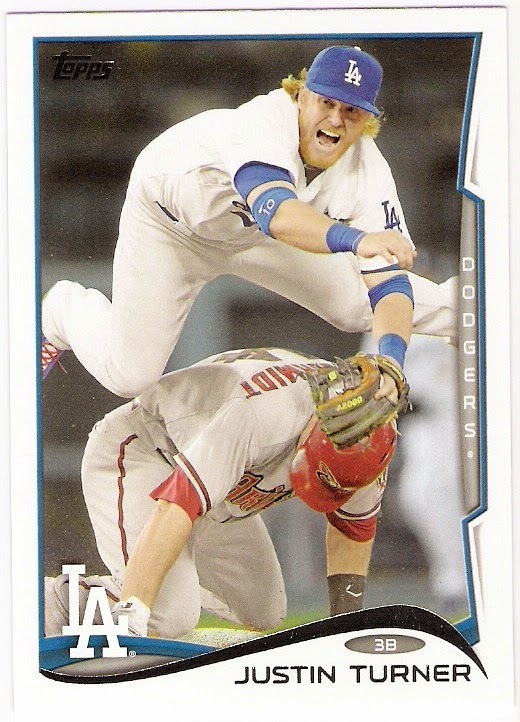 this year, i am getting a kick out of justin turner's card. that's some good double play turning right there from one of the best free agent signings of last offseason (the best after phil hughes and nelson cruz? or better, since he signed as a minor league free agent?). 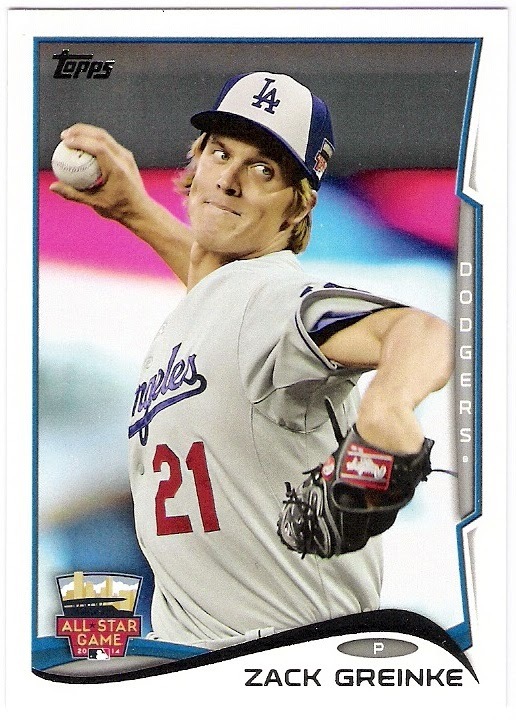 oh, there are better cards in update - kurt suzuki has a couple, and i do like pat neshek's all-star card, too - but if there were a card i would chase a rainbow of this year, it's turner's. 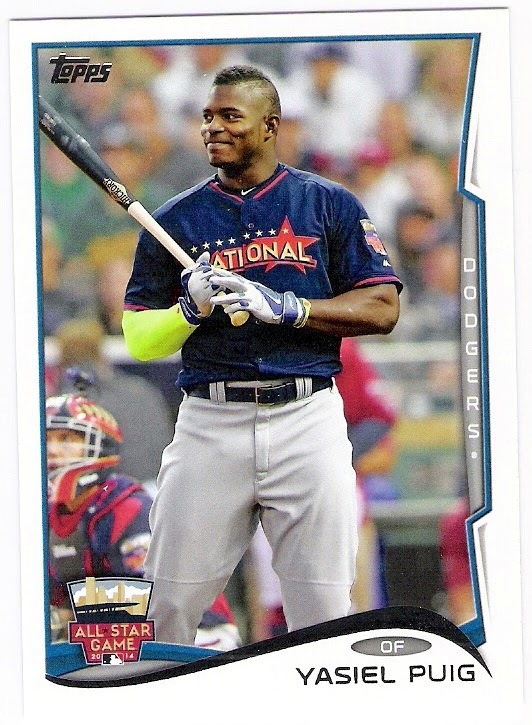 after finding only chone figgins and scott vanslyke cards in the update stuff i bought, i went ahead and ordered (most of) the other dodger base cards from sportlots. have a look. his name didn't fit on the card properly. 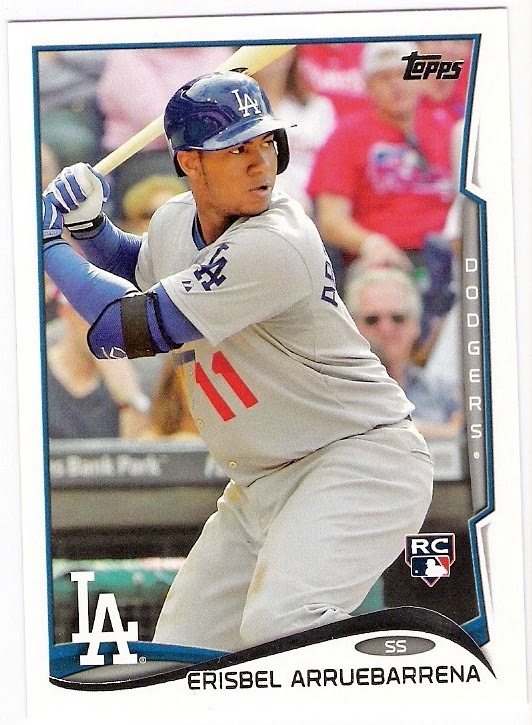 still seems weird to see a dodger other than manny mota wear number 11.
if not for jose altuve, i am guessing he would have been the littlest all-star. nice gatorade cameo, by the way. 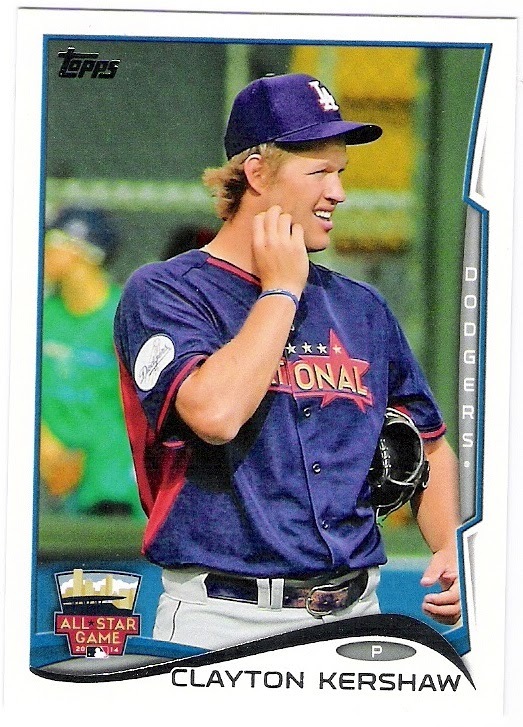 not a fan of the all-star caps, except for the teams like the twins and padres who actually have worn caps like that during their existence. 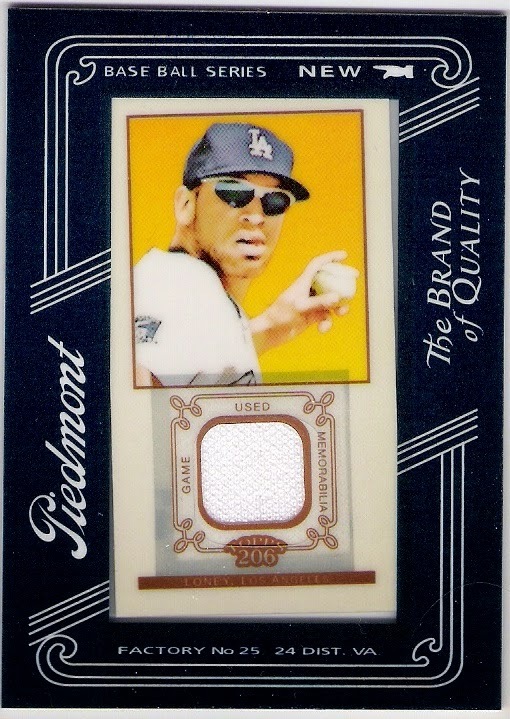 almost reminds me of the 1978 topps rick monday card where mo seems to be wiping mustard off of his face. 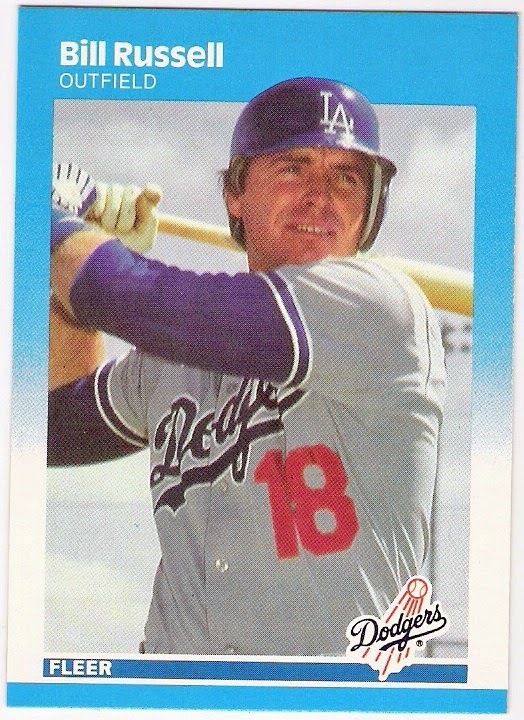 now i realize that i forgot to order a paul maholm card. anyone have an extra? 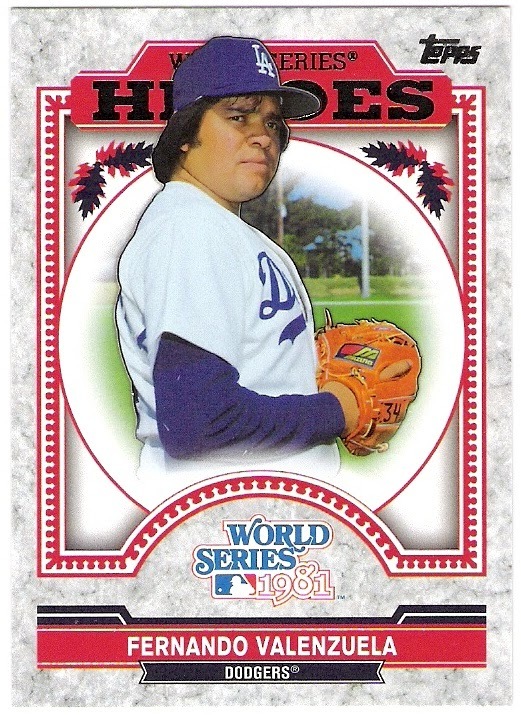 el toro was 3-1 in 5 starts in the 1981 postseason, but made only one start in the world series - he threw a complete game in the dodgers' game 3 5-4 win over the yankees. 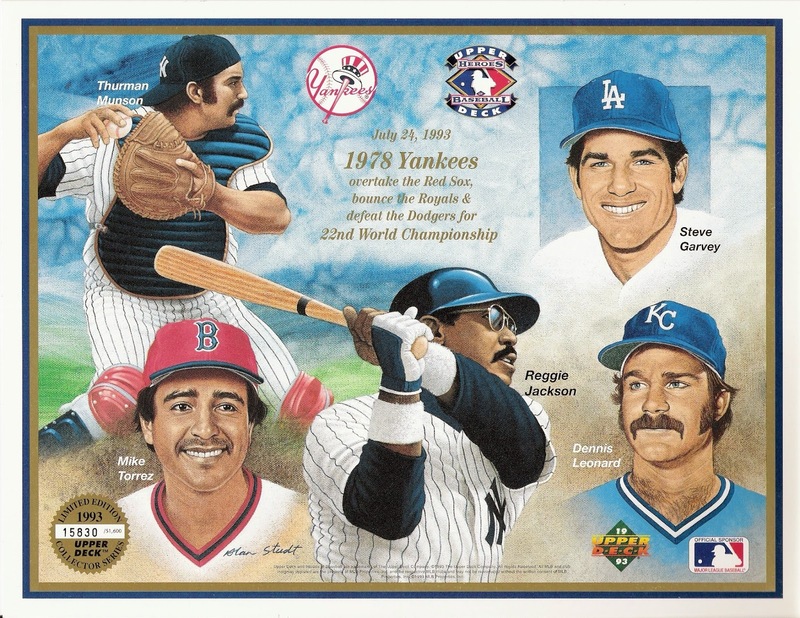 i had hoped to see a ron cey/pedro guerrero/steve yeager card in this insert set instead of fernando, if i'm being honest. 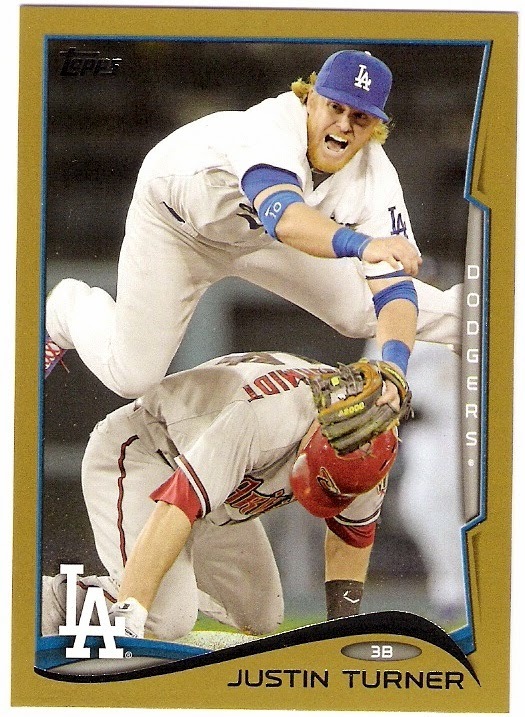 meanwhile, justin turner parallels and paul maholm have taken over the nefarious nine (see list at right on the web version of the blog). please, help a blogger out! 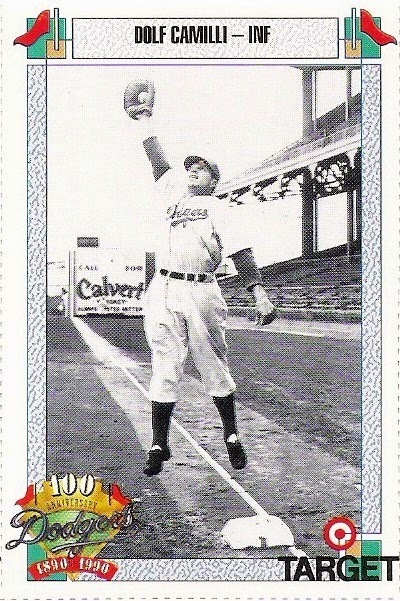 bill lucas was a minor league player in the braves' system before joining the team's front office in the mid-1960's. he worked his way up from public relations to player development, becoming the director of the braves' farm system in 1972. in 1976, he became the club's vice president and director of player personnel and performed the duties of a general manager. as such, he is widely considered to be the first african-american gm in baseball history, although bob watson was the first to have the actual gm title. that features the players and coaches wearing black armbands in honor of lucas who died on may 5, 1979. shortly after watching the braves on tv on may 1, lucas suffered a brain hemorrhage resulting from an aneurysm. he was taken to the hospital where he died of cardiac arrest. the team wore the armbands for the remainder of the season. in the memorials binder as a result. it shows the black armband front and center, and provides a good link to lucas's work as a de facto general manager. lucas was just 43 years old when he died. 68-year old former braves player, coach, and then-current minor league outfield instructor jim beauchamp passed away on christmas day, 2007 from leukemia. the braves added a "beach" patch to their uniforms for the 2008 season in tribute. that represents this particular memorial in my collection. beauchamp followed up a 10-year big league career as a player with 16 years as a minor league manager. the last six of those years (1985-1990) were spent managing in the braves' system, and he was added to bobby cox's big league staff for the 1991 season. beauchamp spent the next 10 years or so as cox's bench coach before taking on the outfield coordinator role. 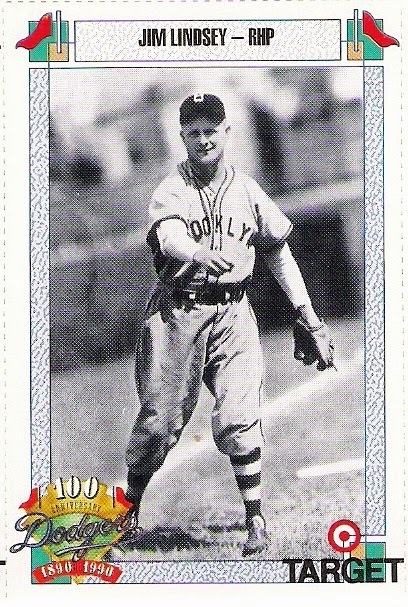 berg was an ivy-leaguer (he attended princeton and columbia) who spent his first year in the majors (1923) with the brooklyn robins. 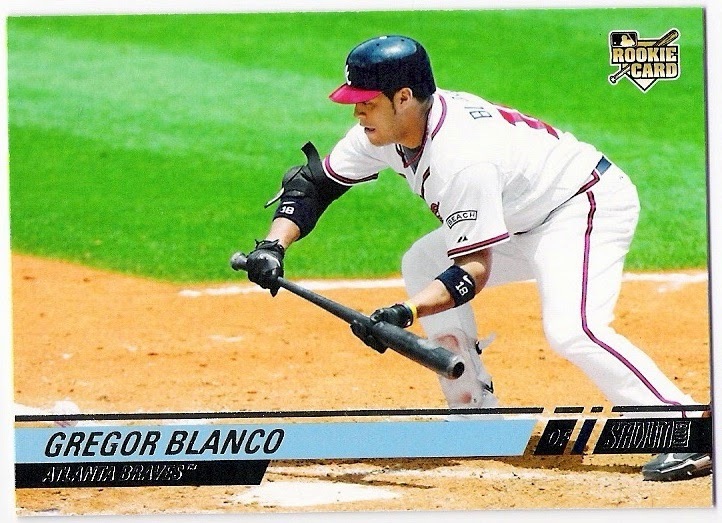 he hit only .186 as a 21-year old infielder, but later found a niche in the big leagues with other teams as a backup catcher. he also improved at the plate, and was able to carve out a 14-year major league career with four american league clubs following his one year in brooklyn. the most interesting part of berg's story, however, is that he was a spy. berg was fluent in several languages, and was added to the connie mack all-star team that was to make a tour of japan in 1934. berg may have seemed out of place on such a team that featured babe ruth, lou gehrig, and others, but he was there to spend some time doing some recon for the us government. other missions berg completed included a trip to switzerland to assess the germans' likelihood of developing the atomic bomb. i don't know that i've seen camilli's name spelled with an 'f' instead of the 'ph' before. anyway, camilli (father of future dodger doug camilli) played for the dodgers from 1938 until july of 1943 when he was traded to the giants (in true rivalry fashion, he refused to report to the club). 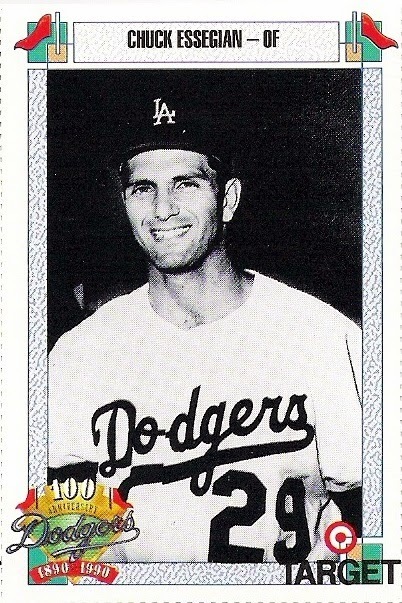 during his dodger days, camilli was a two-time all-star and led the league in home runs and rbi in 1941, earning the national league's mvp award - the first dodger to win the award since dazzy vance in 1924.
essegian had the good fortune to be traded to the dodgers during the 1959 season. as a result, he was able to appear in the 1959 world series against the white sox, and he made the most of his appearances. 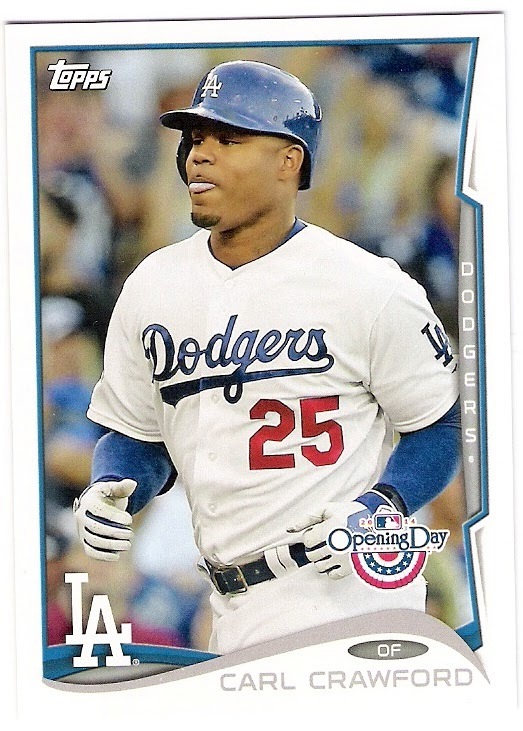 after striking out as a pinch-hitter in the dodgers' game 1 loss, he hit a game-tying solo home run in the 7th inning of game 2 which the dodgers went on to win. essegian pinch-hit again in game 5, drawing a walk in a losing effort, but came up big with his second pinch-hit home run of the series (hitting for duke snider of all people) in the 9th inning of the dodgers' 9-3 series clinching game 6 victory. 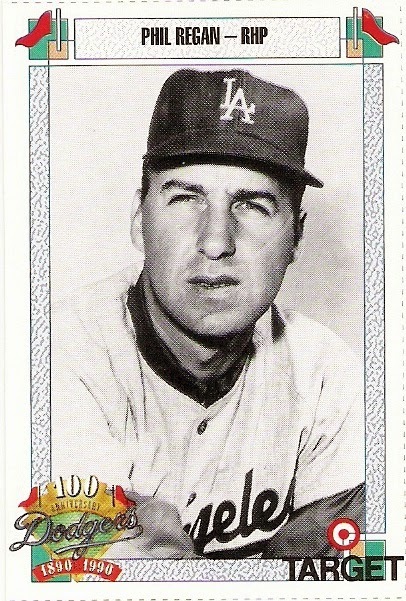 fernandez was signed by the dodgers in 1951 and worked his way through the minors to the point where some thought the good fielding shortstop would eventually replace pee wee reese at the position for the dodgers. 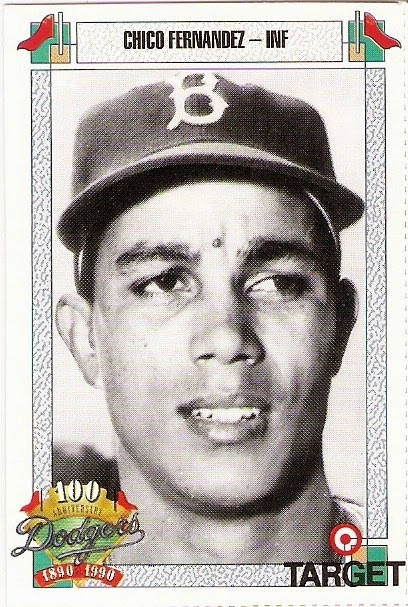 fernandez was called up and debuted in july of 1956 and finished the season with a .227 batting average in 34 games. the dodgers decided to deal fernandez following the season, and he became the phillies regular shortstop after they acquired him for elmer valo and a few other players. he went on to play for the tigers, too, before they traded him to the braves on may 8, 1963. later that same day, the braves dealt fernandez to the mets and he finished out his big league career that year with new york. 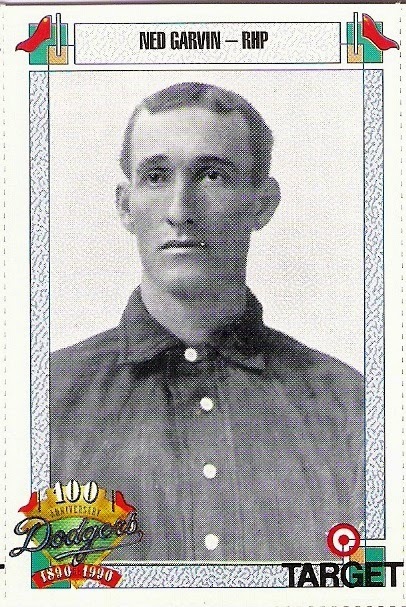 garvin joined the superbas late in the 1902 season, earning a win and a loss in his two starts for the club that year. in 1903, he was 15-18 for brooklyn, and in 1904 he had a record of 5-15 (despite a 1.68 era) before he was picked up on waivers by the new york highlanders with whom he finished out the season. bill james recognizes garvin as perhaps the "hard-luck pitcher of all-time" due to his consistently poor record and low era. local boy hopkins attended pepperdine and ucla in the 1960's but was signed by the white sox rather than the dodgers in 1965. following a total of six seasons spent in the majors with the chisox and kansas city a's, hopkins joined the dodgers during the 1974 campaign. he only appeared in 15 games for the 1974 national league champs, hitting .222 with 4 singles in 18 at bats. he went on to play in japan for a couple of seasons and returned to the states to earn an m.d. and ph.d and practiced medicine in california and illinois for many years. 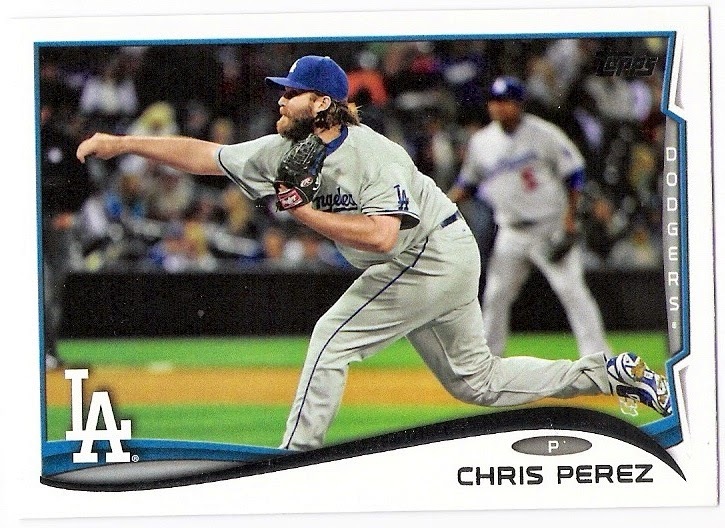 his card features the left field pavilion of dodger stadium in the background, which is nice. lindsey had pitched for the indians, cardinals (in two different stints), and reds before joining the dodgers in 1937. he pitched in 20 games for brooklyn, amassing a record of 0-1 with a 3.52 era. that was the end of his big league career, although he continued to pitch in the minors for many more seasons. 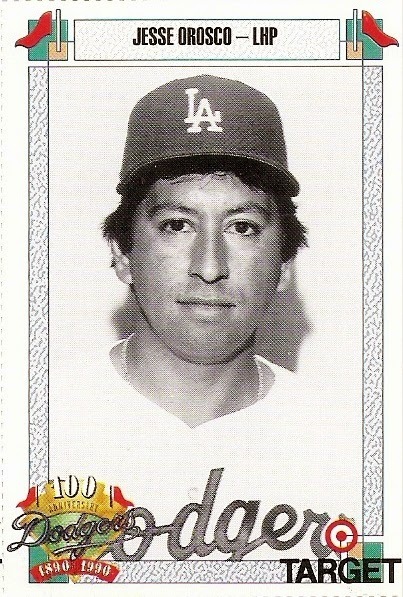 orosco had two stints with the dodgers, including that glorious 1988 season. 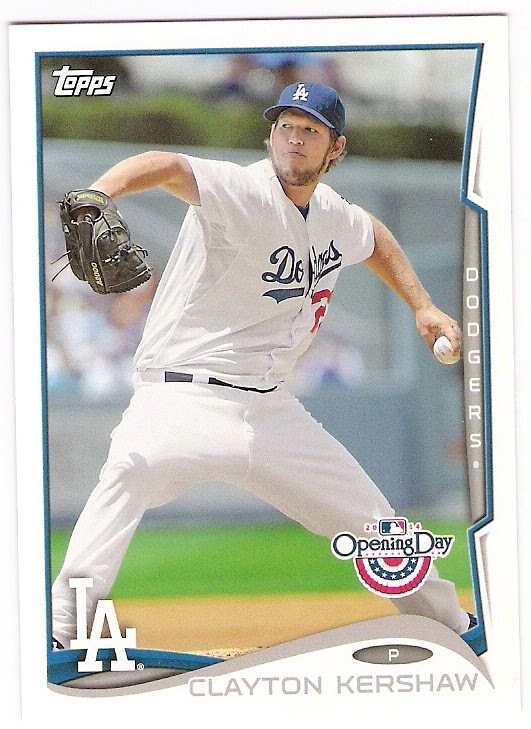 he is the all-time leader in games pitched with 1,252. the only active pitcher with at least 1,000 games pitched is latroy hawkins who is right at the 1,000 mark. regan pitched for the tigers, often as a starter, from 1960 through 1965 when he joined the dodgers via trade prior to the 1966 season. walter alston moved regan to the bullpen, and the pitcher responded with a tremendous season. regan pitched exclusively in relief, appearing in 65 games and earning a record of 14-1 with what would have been a league-leading 21 saves had that been an official statistic back then. 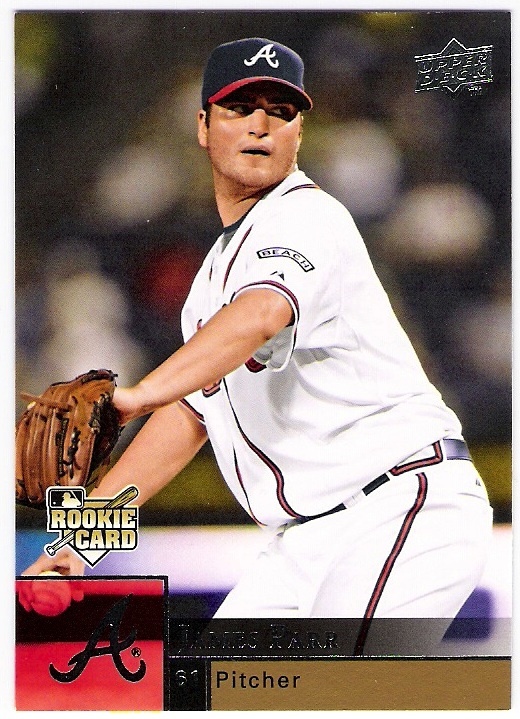 regan was an all-star that year, as well as the comeback player of the year and reliever of the year, and he wound up pitching in two games of the world series as well. regan's 1967 season was not quite as spectacular, and he was traded to the cubs just a few games into the 1968 campaign. 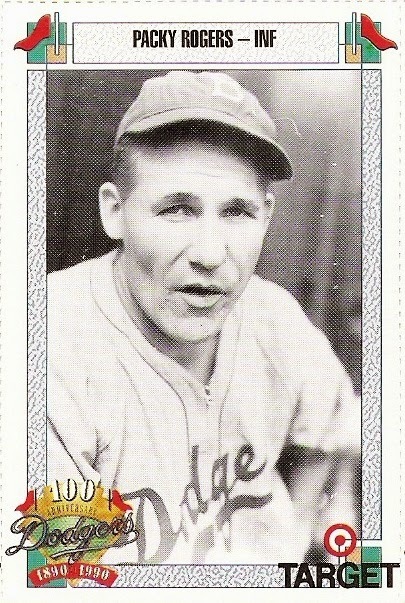 he did return to the dodger organization following his retirement as a scout and later as manager of the triple-a dukes in 1996.
rogers hit .189 in 23 games for the 1938 dodgers which was the only time he appeared in the major leagues. 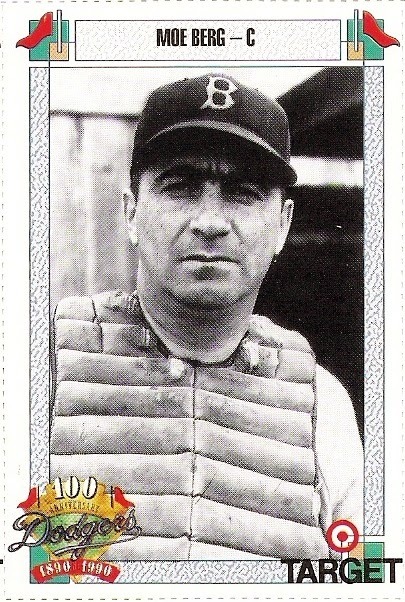 he returned to the minors and eventually managed there for a few seasons following his service during world war ii. 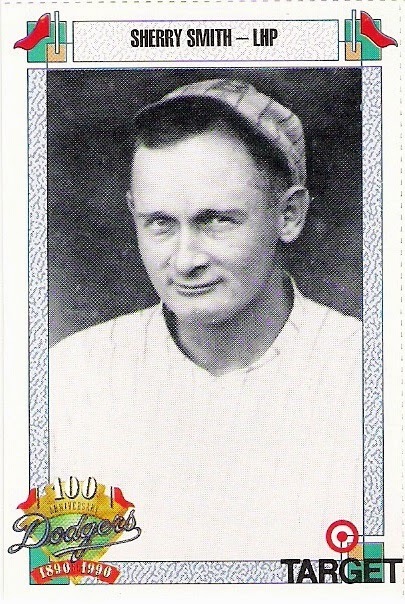 smith had a record of 69-70 over his 7 seasons with the brooklyn robins spanning from 1915 into the 1922 campaign (he did not pitch in 1918 for some reason), but his era as a robin was 2.91 and he twice won 14 games in a season. he was a big part of the robins' pennant winning teams of 1916 and 1920, and he threw 13.1 innings in game 3 of the 1916 fall classic only to surrender the winning run and take the loss opposite the bosox starting pitcher, babe ruth. smith was 1-1 in the 1920 series against cleveland, giving up just one earned run in 17 innings of work in the robins' losing effort. i think of strahler as one of the other guys on charlie hough's 1972 rookie card. 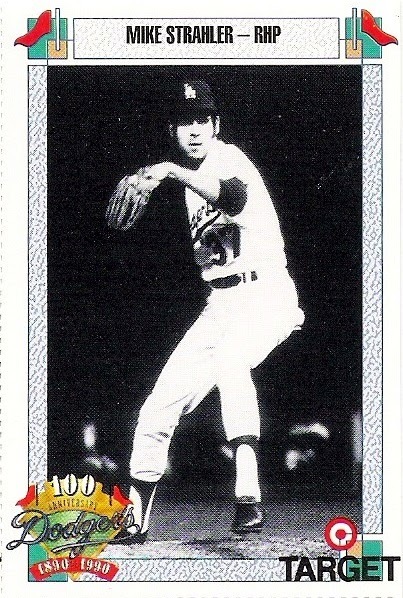 he pitched in parts of three seasons for the dodgers - 1970 through 1972. in total, he appeared in 31 games as a dodger, earning a record of 2-3 with a save and an era of 2.76. he made 2 starts for los angeles (both in 1972), one of which turned out to be a complete game victory for strahler in his final dodger appearance. after the '72 season ended, strahler was traded to the angels in the frank robinson for andy messersmith deal, and the halos traded him soon after that to the tigers. stuart could hit. he hit .272 with 192 home runs in his first seven seasons, which were spent with the pirates and red sox between 1958 and 1964. in fact, stuart led the american league in rbi in 1963 while with the red sox, and drove in 114 the following year. unfortunately, he was not the best fielder. in fact, stuart led his league in errors by a first baseman in each of those same seven seasons mentioned above. after a down year with the phillies in 1965 (in which he finished second with 17 errors and hit just .234), stuart joined the mets for the start of the 1966 season, which is where the photo used on his card above comes from. 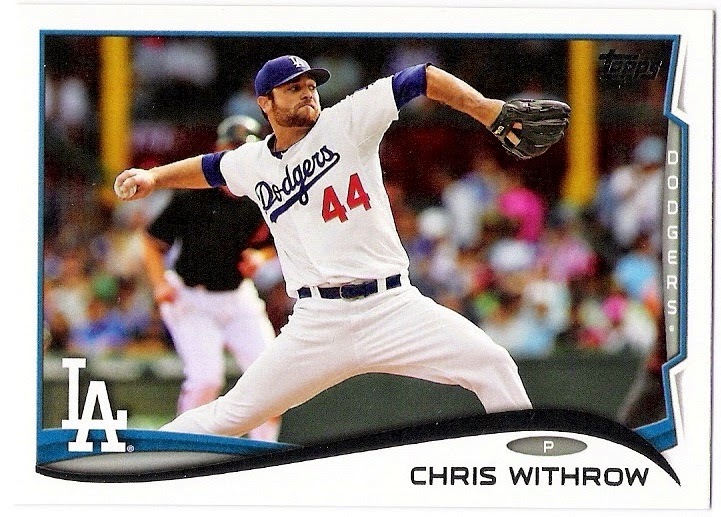 he was ultimately released by the mets during the season and was signed by the dodgers. 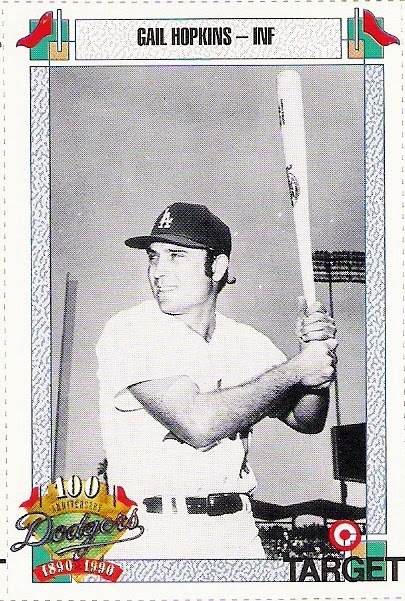 stuart hit .264 with 3 homers in 38 at bats for the dodgers, and even managed a couple of plate appearances for them in the 1966 world series. 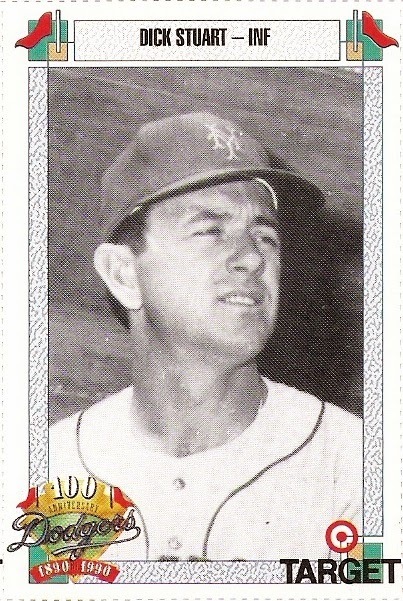 walls joined the dodgers following the 1961 season in a deal that sent charlie neal to the expansion mets. 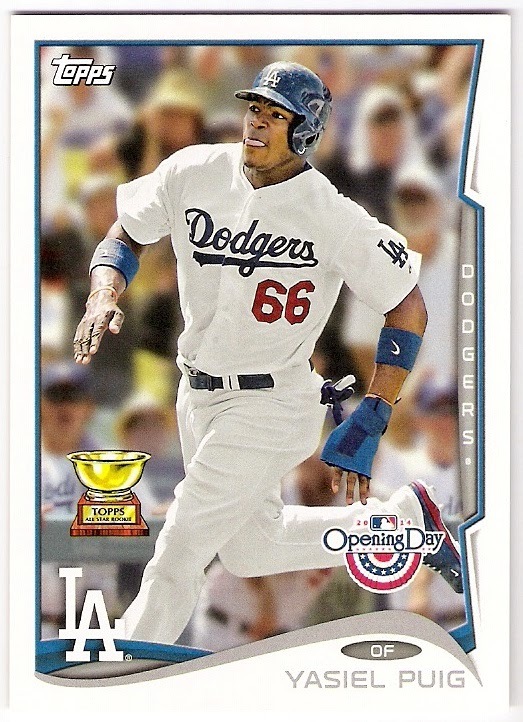 he spent three non-descript seasons with the dodgers as a utility player/pinch-hitter, although i found his final big league appearance to be fairly interesting. on the final day of the 1964 season, walter alston replaced his starting catcher (john roseboro) following the first inning with rookie jeff torborg. roseboro had reached base, stolen third, and scored on a wild pitch prior to being removed from the game, but i don't know if his removal had to do with an injury or if it was just because it was the last game of the year and the dodgers were leading the colt .45's 5-0 after one inning of play. anyway, torborg played through the eighth inning, but was replaced at catcher by walls for the 9th. 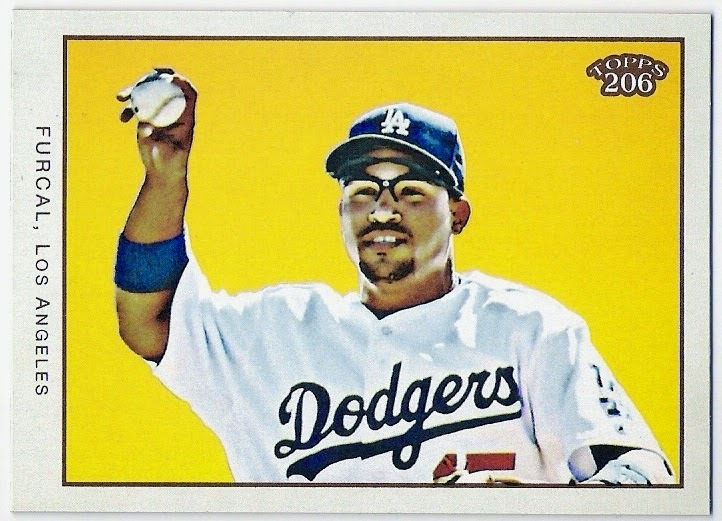 it was the first (and only) time walls had caught in a big league game, and it was also the last time he wore a big league uniform - the dodgers released him 10 days later. 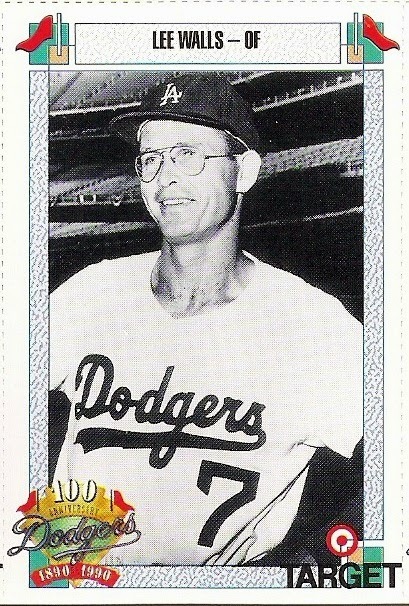 wilson joined the dodger organization in 1950, but spent only two days in 1958 on the field in the big leagues. 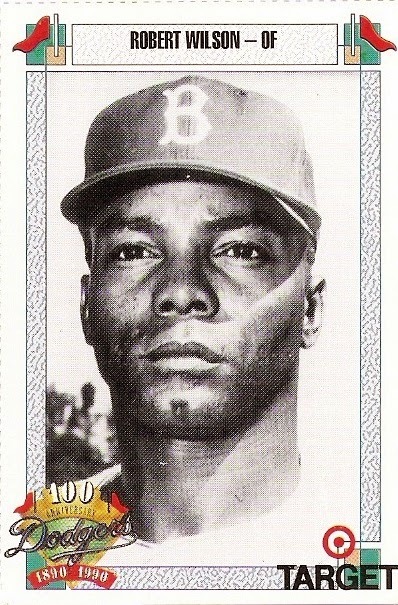 he may have been up with the dodgers for longer than that, but his actual playing career consists of 3 games over 2 days in saint louis in may of 1958. on saturday, may 17, wilson made his debut when he pinch-hit for stan williams against the cardinals' larry jackson and stroked a single. he was replaced at the start of the following inning in the lineup by don drysdale. the next day, in the first game of a doubleheader, wilson again pinch-hit (this time for clem labine), but struck out against the cards' billy muffett. in the nightcap, wilson got the start in right field, but was replaced late in the game by gino cimoli following an 0 for 3 performance at the plate. and that was that for wilson's big league career. i recently completed my first trade with the overly generous and world cup of trading champion matthew from bob walk the plank. there was so much to enjoy in the cards that he sent. 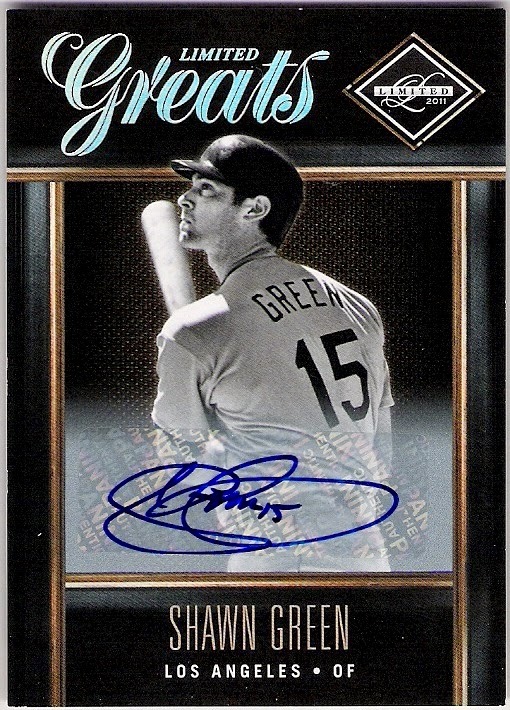 it's only the second autograph card of a guy who at one time was my favorite non-dodger and then my favorite dodger that i have in my collection. 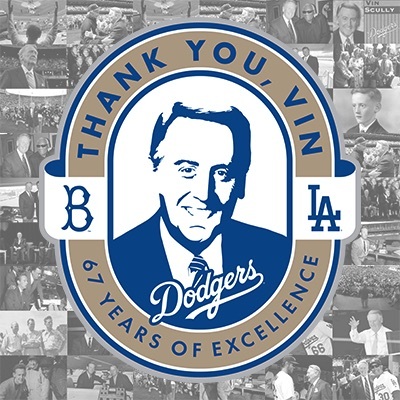 the back of the card mentions dodger broadcasting legend and hall of famer vin scully and green's monster 4-home run game in 2002 - a game which i attended. good stuff. 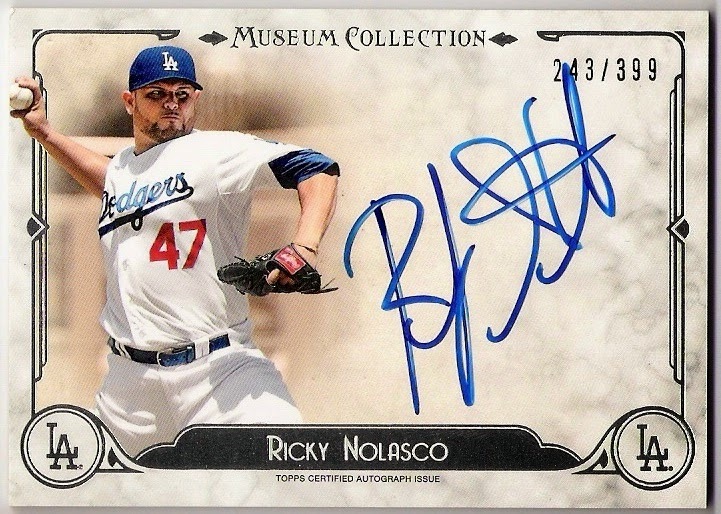 topps went all-in with nolasco in their 2014 releases, even though he signed with the twins in the offseason. 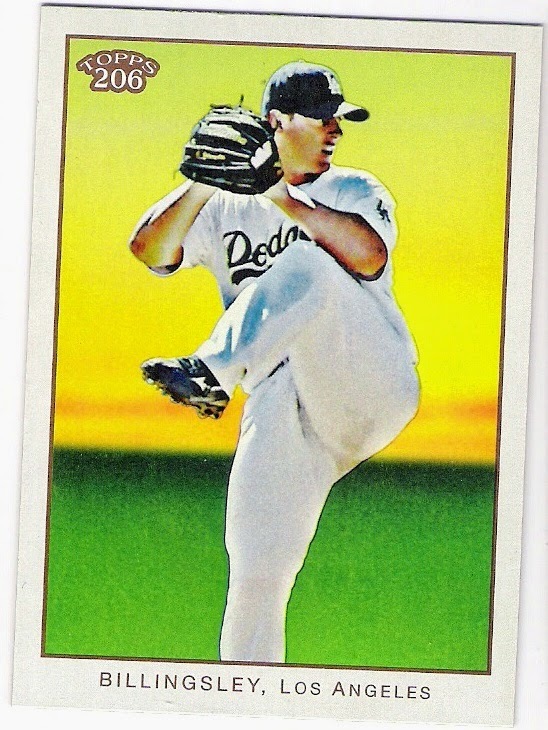 the result is an abundance of signed nolasco dodger cards, of which i now have two. nice. who will hopefully anchor the back end of the rotation in 2015.
with andrew friedman in the loop, i wonder if ethier will lose his fourth outfielder spot in favor of joc pederson. 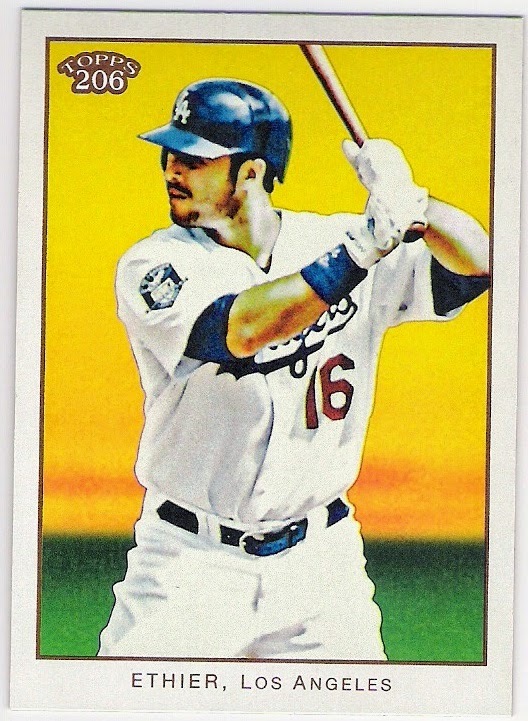 ethier's got 3 years and over $50 million left on his contract, so he may very well stay. kemp's got 5 years and over $100 million left on his deal. his agent is now the gm of the diamondbacks, which might make me nervous if his contract weren't so large. 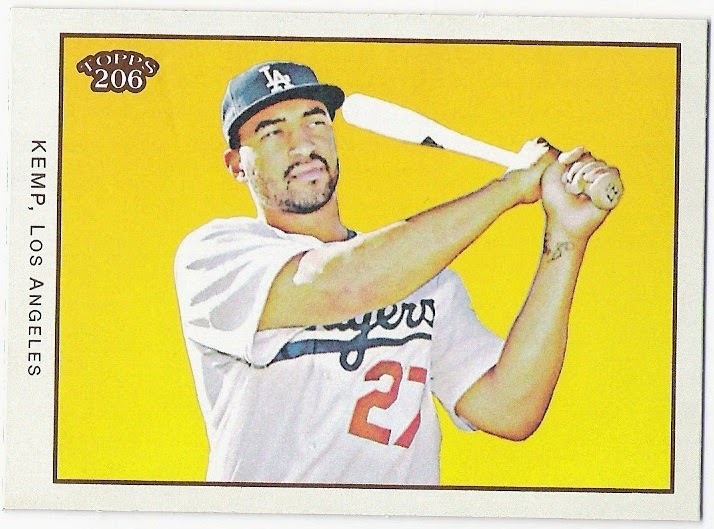 kemp is the kind of guy that i would really like to see wear dodger blue until he retires. speaking of retirement, furky finally made it back from injury to appear in a handful of games with the marlins last season but is a free agent and may be looking at the end of the line. loney is not doing too badly in tampa - he hit .290 last season and played decent defense - and i still hold him in high regard thanks to that grand slam he hit in the 2008 nlds against the cubs. 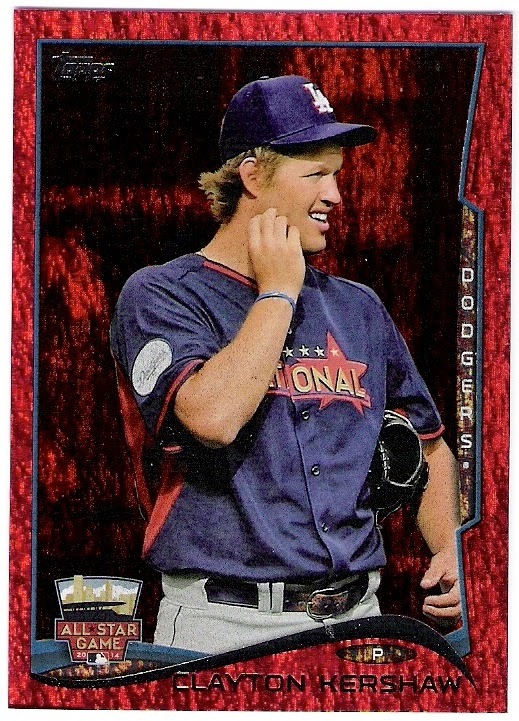 last, but certainly not least, here is the first card in my collection from the 2013 leaf memories buyback set. it's a 1991 leaf darryl strawberry buyback stamped 3/5. 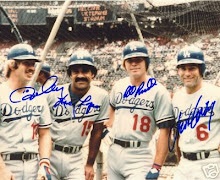 3/5 is appropriate because 3 is the number of seasons that darryl played for the dodgers out of the 5-year contract to which they signed him. following a fairly productive season in 1991, he saw limited playing time in 1992 and 1993, and was released without playing for the team in 1994. still, a nice card to cap a great trade. thanks for the cards matthew!